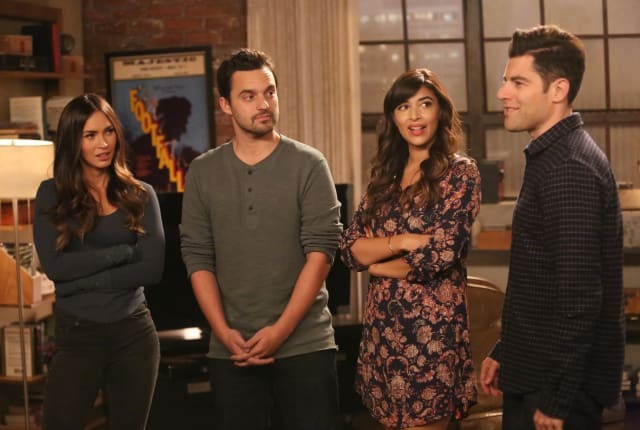 On New Girl Season 5 Episode 7, Winston is determined to get Reagan to open up more and become friends with the other roommates, but she's reluctant to. When you watch New Girl Season 5 Episode 7 you'll see how far one person will go to avoid confrontation with a former lover. Winston is determined to get Reagan to be more opened and become friends with the other roommates, but she she tries to tell him that she isn't one to form relationships because of how much she moves around. Unfortunately, Reagan is surprised by one of the women she has slept with and who thinks they are still in a relationship. Winston confronts Reagan about this and she admits she's never broken up with someone because she's terrible at confrontation and would feel bad. Winston agrees to give Reagan pointers on how to properly breakup with someone because he has had experience with it. When the time comes for Reagan to break up with the woman she bails and tries to get Winston to do it for her. Winston ends up bringing the woman back to the loft and makes Reagan confront the woman and have a proper breakup. After she breaks up with her she thanks to roomates for being there for her and helping her out. Want to hear all the ways Winston has been broken up with? Go watch New Girl online via TV Fanatic anytime. The baby is perfectly fine, but lets just say I did not do a good job. Permalink: The baby is perfectly fine, but lets just say I did not do a good job. You know I helped the lady give birth in the kitchen? Permalink: You know I helped the lady give birth in the kitchen?